The Sandow Plus site recently added an electronic copy of another well known text from the past. 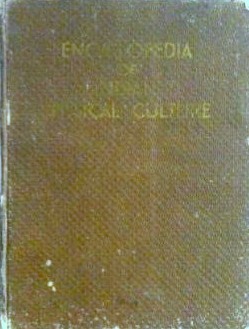 Below you can download over 700 pages from The Encyclopedia of Indian Physical Culture. Please note that the file size is quite large (over 150 megabytes). To download the file, right click the link below and choose the Save Target As or Save Link As option. Thanks for the link Ross, much appreciated. It’s harsh but says a lot and our nation should adopt something similar. It’s not ok to be unhealthy. They may have to leave the “God” part out though. Thanks. Very interested in Indian Physical Culture. Wonder how long before macebells and clubs become the next new old school new style of training replacing the kettlebells as the latest way to train. I don’t think wearing those large doughnut shape stones around your neck will catch on, however. Couple of good vids albeit very short of Karl Gotch performing exercises with Indian clubs and mace on Youtube. Youtube: Karl Gotch Indian/Persian Club Training and also on Youtube: Karl Gotch-Mace Swinging Demo. Vids are very short but just an interesting tid-bit to this article and past articles featuring Gotch. On an somewhat related note and just for laughs, came across this character who goes by the moniker/name of “Baba the Cosmic Barber.” This guy is I guess the Babe Ruth of the art of the Indian head massage, check out some of this guys vids on Youtube also. Never heard of an Indian head massage before but this Baba’s version is hysterical, but at the same time looks very relaxing. I’m guessing this guy could come to the States and make millions off rich and wealthy people who would go for their weekly head massage for stress relief. That book is awesome! Thanks Ross. 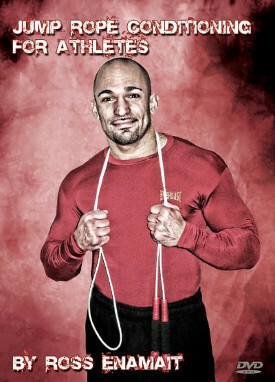 Also at functionalhandstrength.com there is some pretty cool looking dvd’s. Check it out. I love the way that book is written. That is some manly sh*t! I appreciate the resources you have continued to post over the years…. Much appreciated and literally life-saving. Btw, did anyone note that the print in this electronic copy is quite illegible. I mean most of it can be read and understood and I understood quite a lot of words in Hindi/ Sanskrit that might not be understood by a foreigner. But still, is it just me or the book is all in black and white and not very clear? Also, does anyone know any book or resource where they mention in detail the diet followed by ancient Indians? Some book like this one may be.. Uh, just as an edit to my first comment. The pictures in this copy are also not clear. Canâ€™t understand what the person in the pictures is doing. Again is it just some glitch I am getting somehow or is the copy just like this? This is an old post which referenced the Sandowplus site (which was later taken down after the founder passed away). It looks like the Sandowplus domain is coming back, but there is still work to be done. The previous copy that was posted was quite readable. The file is massive however, so I’m not sure if it will be hosted again or not. Okay. So I got the electronic copy from another website. Here’s the link. I guess when you say that the old copy was quite readable, you meant this very copy that is on the above site.